Looking for deals in Reykjavík? 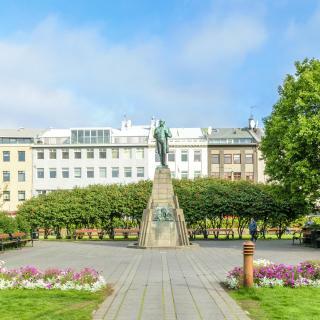 Located 1312 feet from Hlemmur Square, 105 - A Townhouse Hotel is located in Reykjavík, 2625 feet from Hallgrímskirkja Church. Private parking is available on site. WiFi is free. The location was good, the room was pretty cozy and clean. Located next to Hlemmur Square, this hotel is just off Laugavegur, the main shopping street in Reykjavík. It offers a view over the city and Esja Mountain. Great location, clean - felt like home! Skuggi Hotel Reykjavík offers accommodations in Reykjavík only 459 feet from Laugavegur Shopping Street. Guests can enjoy the on-site bar or visit one of the many restaurants and bars within the area.... Awesome location, bed was super comfortable. The breakfast included is also a good selection to suit everyone. Close to the bus stop for getting to Airport. Located a 1-minute walk from Reykjavik’s Laugavegur shopping street, these trendy apartments offer self-catering kitchen facilities and free WiFi. Restaurants, bars and cafés are just a few steps... Comfy beds. In room coffee press with complimentary coffee and tea. Kitchenette. Roomy bathroom. Great shower. On site tour desk. Location! Reykjavik Residence combines hotel services with self-catering apartments that offer flat-screen TVs, free Wi-Fi and modern kitchen facilities. We loved our stay at the Residence Suites. Big spacious room, clean, nice shower and shampoo products. Had all we needed. We even got free parking in the Garage for the night - would come back again. This contemporary design hotel is set in Reykjavík's Old Harbor area, 1640 feet from Harpa Concert Hall & Conference Center. Reception staff were friendly and conversational -- Kamila was able to book a tour for me immediately upon my arrival! Everything at Exeter is brand new and redevelopment of the neighboring buildings continues (don't worry, there is no construction noise). Great value for the price I paid and the rooms were very quiet (concrete walls). Breakfast included, yet central to a lot of great restaurants (next door and along the harbor). There's also a gym and sauna, and parking for those who rent a car. Secure lockers behind check-in desk too. Very clean! This hotel is located about 5 minutes' walk from Harpa Concert Hall. Consulate Hotel Reykjavik, Curio Collection By Hilton in Reykjavík features a wellness spa and complimentary fitness center. Luxurious hotel with every amenity. The spa area was beautiful and relaxing. Located on the 20th floor of a contemporary glass tower, these stylish penthouse suites are in central Reykjavik and feature panoramic views of the city or sea. Free WiFi is included. Front desk was amazing with great recommendations for dinner and breakfast. Best view in the city. This stylish 16-floor hotel provides great city and sea views. Offering a fitness center and restaurant, Fosshotel Reykjavík is 656 feet from Laugavegur shopping street. WiFi is free. Above average breakfast. Very pleasant staff. Front desk extremely helpful with any question. 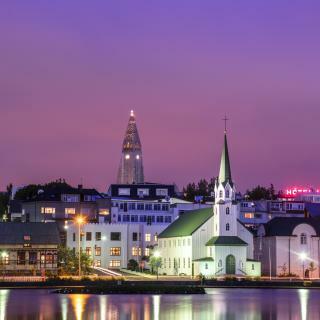 Set in the popular 101 harbor district of Reykjavik, Icelandair Hotel Reykjavik Marina offers free Wi-Fi access. All rooms include a flat-screen TV and either city or marina views. They went out of their way to make certain we had a room with a view...and boy what a great view! This eco-friendly hotel is next to Öskjuhlíd Hill’s quiet woods and 0.6 mi from Nauthólsvík geothermal beach. WiFi and gym access are free. Super comfy beds, great breaky and fantastic dinner buffet. This budget hotel is within 15 minutes’ walk of Reykjavik’s Kringlan Shopping Center and Perlan viewing dome. It offers free Wi-Fi and free private parking, plus bike and scooter rentals. Compared to overall hostility of nature and expensiveness of Iceland, it is more than expectation. Located just around the corner from Hlemmur Square, this hotel is located on Reykjavík’s main street, Laugavegur. Rooms are located on the 1st, 2nd and 4th floors. Fabulous location! Great free breakfast. Reasonable price. Located just 2297 feet to Laugardalslaug geothermal swimming pool, Hotel Cabin is in the Reykjavik East district. Good location. Comfortable and quiet. This hotel is on Reykjavík’s main street, Laugavegur, 820 feet from the waterfront promenade. It offers an intimate setting and tastefully designed rooms. Parking is free. This hotel is a hidden gem in Reykjavik. On Laugavegur shopping street in central Reykjavik, this hotel has modern rooms with a flat-screen TV and free Wi-Fi access. Hallgrimskirkja Church is a 5-minute walk away. Julia the front desk person was amazing! CenterHotel Midgardur is located on Reykjavik's main shopping street Laugavegur, and features an on-site bar, restaurant and free WiFi. Hallgrímskirkja Church is 2625 feet away. New and modern hotel in walking distance to airport buses and Reykjavik center. Set an 8-minute drive from central Reykjavik, this hotel offers free parking and brightly decorated rooms with a flat-screen TV and free Wi-Fi access. Kringlan Shopping Center is 0.6 mi away. Our host was incredibly friendly. She made us feel right at home from the start. 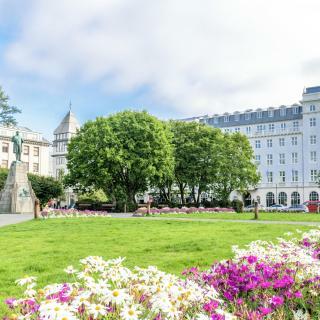 The elegant Art Deco-style Hotel Borg by Keahotels enjoys a central location in Reykjavik, overlooking the historic Asuturvollur Square. Very helpful staff on reception which included assistance in booking a trip. This hotel is set on one of Reykjavik’s oldest streets, Adalstraeti, 650 ft from Reykjavik Art Museum. Breakfast! I like that its near Bus stop 1 and souvenir shops 😁 harpa hall is like 10mins walk.. This stylish and original hotel is just a 2-minute walk from Reykjavik’s main shopping street, Laugavegur. It offers free WiFi and rooms with a satellite TV and a tea/coffee maker. The staff were amazing and very accommodating!! What are the best hotels in Reykjavík near The Pearl? Some of the best hotels in Reykjavík near The Pearl include Skeggi apartments, 105 - A Townhouse Hotel and Freyja Guesthouse & Suites. What are the best hotels in Reykjavík near Reykjavík Airport? Travelers who stayed in Reykjavík near Reykjavík Airport (RKV) have said good things about Icelandair Hotel Reykjavik Natura, Radisson Blu Saga Hotel, Reykjavík, and Hotel Holt. 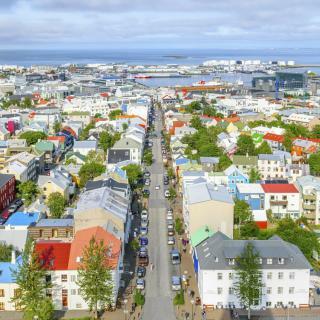 How much is a hotel in Reykjavík for this weekend? The average price per night for a 3-star hotel in Reykjavík this weekend is £388 or, for a 4-star hotel, £481. Looking for something even fancier? 5-star hotels in Reykjavík for this weekend cost around £702 per night, on average (based on Booking.com prices). 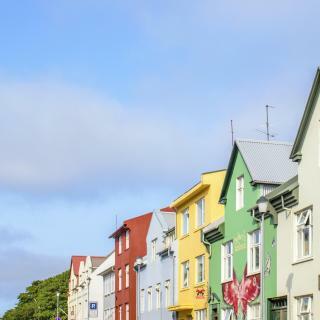 Which neighborhood is the best one to stay at in Reykjavík? Vesturbær, Reykjavík 101, and Reykjavík East are popular with other travelers visiting Reykjavík. How much is a hotel in Reykjavík for tonight? On average, it costs £149 per night to book a 3-star hotel in Reykjavík for tonight. You'll pay around £252 if you choose to stay in a 4-star hotel tonight, while a 5-star hotel in Reykjavík will cost around £370, on average (based on Booking.com prices). Which hotels in Reykjavík offer an especially good breakfast? For hotels in Reykjavík that serve highly-rated breakfasts, try Tower Suites Reykjavík, Canopy by Hilton Reykjavik City Centre, and Hotel Phoenix. Which hotels are the best ones to stay at in Reykjavík? 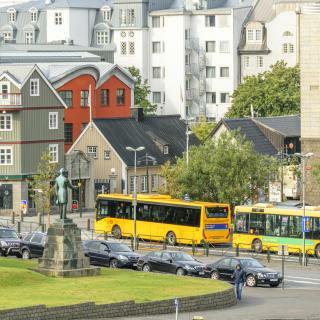 105 - A Townhouse Hotel, The Swan House, and Eyja Guldsmeden Hotel are some of the popular hotels in Reykjavík. Which hotels in Reykjavík are good for couples? These hotels in Reykjavík are highly rated by couples: Tower Suites Reykjavík, Reykjavik Konsulat Hotel, Curio Collection By Hilton, and Kvosin Downtown Hotel. How much does it cost to stay in a hotel in Reykjavík? On average, 3-star hotels in Reykjavík cost £142 per night, and 4-star hotels in Reykjavík are £189 per night. If you're looking for something really special, a 5-star hotel in Reykjavík can be found for £427 per night, on average (based on Booking.com prices). Which hotels in Reykjavík have nice views? Tower Suites Reykjavík, Kvosin Downtown Hotel, and CenterHotel Arnarhvoll got great room view-related reviews from travelers in Reykjavík. Which hotels in Reykjavík are good for families? 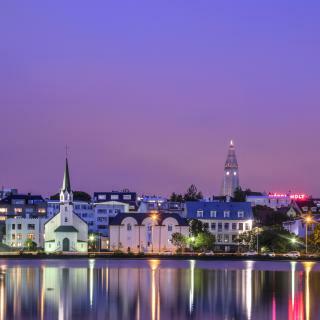 Many families visiting Reykjavík loved staying at Tower Suites Reykjavík, Sand Hotel by Keahotels, and Kvosin Downtown Hotel. Do NOT attempt to stay in the city center on Friday/Saturday nights if you think that you will get any sleep between 10PM and 4AM. It's one big and LOUD party with rooftop bars blasting the dance beats. Even the rooms in the luxury hotels are not immune and many of the older guests were very upset. Favorite foodie spots include RESTO, FISH MARKET and the bar at 101 Hotel. Bring anything you like with you in your case, if you want to buy anything here it costs a fortune. The tours are great but expensive - really expensive. If you've got the cash to burn go enjoy yourself. You can buy beer at the duty free in the airport which is great for the hotel room, but for normal drinking just go in places when its happy hour, it brings the cost of a pint down to a much more reasonable £3.50 for 500 ml rather than £7! It is a great little city. Very cosmopolitan, compact and accessible. There are several fourists offices that are staffed with capable and friendly folks. English is spoken by nearly all as it is compulsory in school. There are lots of activities both near and far. The countryside is fantastic. Be prepared for cold and wind. Not being dressed correctly could dimenish your fun. There are lots of great places to eat or have a drink. There is lots of history and art. The city seems filled with young folks having a good time not in an offensive way at all. Prices can be a bit of a surprise even coming from someplace like Paris. I recommend it (and all of Iceland) to all who like a mix of adventure and urban experiences. I enjoyed the Laundromat Cafe and the Paris Tea Room (?). The bar at the big new Hotel Foss on the east edge of downtown had some excellent hot dogs (a very popular menu item) and a nice selection of craft beers. An imperial stout I had there was extraordinary. If you want to go to a warm place with sunshine and cheap food, don't go to Iceland. 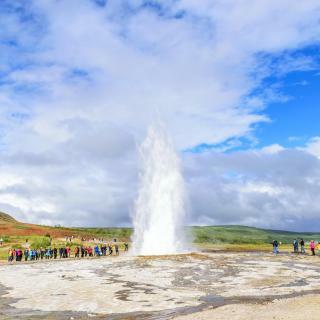 But if you want to experience some of the most uniquely spectacular landscapes on earth and a vibrant and interesting culture that is clearly distinct from its European connections, go to Iceland. Reykjavik is a beautiful city and has much to offer the adventurous traveler. Tips 1. Stay in the heart of downtown Reykjavik (ditch regular hotels and use an Apartment Hotel). 2. Rent a car only for the days you will be on a road trip (if at all). 3. Expect to pay 3 times as much as US prices for food. 4. People go clubbing at 1am and come back in the wee hours of the morning. 5. If you get up early and find that the cafes are not open yet, go to a hotel nearby and eat breakfast at their lounge (you can pay for it without having to stay there). 6. Don't bother trying the rotten shark (it's utterly disgusting and not as interesting as it sounds). 7. Don't eat whale meat (support the movement to stop whaling if you can). We took a five day tour to see the Northern Lights, bucket list checked. Reykjavik is a beautiful, entertaining city that is small enough that you can get to know it in a week's vacation. Definitely go to the top of Hallgrimskirja on a clear day! Eat the lamb, it's delicious. Visit the pools at Laugardalslaug. You'll get better at pronouncing the names, but write down where you want to go so people can help you. Download the Appy Hour app to make going out more available. The best Happy Hour we found was right in our hotel, the IcelandAir Natura. It's a good idea to bring your own liquor to get started in the room,the natives do the same thing. The National Museum is a good, informative, entertaining day. Large flat right in the head of the city. On the best street for restaurants, bars and shopping. The flat itself is over 700 sq feet with washer and dryer, and the staff fills the fridge with food and snacks. It was comfortable and clean. There was lots of parking and the place is extremely affordable. I would highly recommend this place for anyone looking to stay in Reykjavík, I will be back to Iceland and will definitely stay at this flat again. The room is clean and nice. The receptionist staff were nice, especially the Egyptian lady (I think her name is Nivine). The hotel has a very good restaurant, probably one of the bests in Reykjavik. The hotel is a 20 min walk from downtown area, but it is a very convenient stop for tour bus pickups. Unlike most other hotels in Reykjavik, guests don’t have to wait at designated bus stop for pickups, under the rain and freezing weather. Great location in downtown Reykjavík! Accommodations were very clean and the inside of the building was modern and comfortable. Loved the room with the view of the Main Street - great people watching spot! I had originally booked a room at the 4th Floor Hotel and it was horrible so we left there and booked a room here an hour before we checked in with no issues! Location. Walking distance to all things in downtown/ old town Reykjavik...close to the Harbor. Great 24/7 mart nearby ( the WASA bread snacks were cheap and tasty)...also Emile and the Cool Kids Cafe around the corner had great cappuccinos! Pleasant staff...excellent parking ( if you have a rental car). Excellent price for Reykjavik...basic room. The staff told us about the free shuttle from Perlan to Harpa Concert hall and what a deal. Perlan is an amazing exhibit then you catch a free shuttle to downtown Reykjavík! The walk was nice and easy from the hotel to Perlan with sidewalks and paved walking paths. The staff was very helpful as this was our first trip to Iceland! Great location and breakfast! Really clean spacious rooms and staff were very friendly and helpful. Overall a great place to stay in the heart of Reykjavík. You can book all your tours at the hotel and transfers. It’s really close to bus stop one for all your meeting points for the trips, location really was 10/10. Very good customer service. We even got our rooms before que check in. The breakfasts included are perfect with very good eggs. The location is close to a bus stop going directly to the city center. However, if you want to go downtown it is almost 30 minutes by foot. Beds are comfortable and the hotel is modern. Everything - room was clean, comfortable and spacious, staff were very friendly, great location. Close to Hlemmur bus stop for guided tours, airport shuttle, etc. Elevator really handy for luggage if you go nuts souvenir shopping (you will). Stayed in 3 hotels in Reykjavik and this was definitely the best. The Hotel has a very good location, that you have to go a few meters and you are in the city of Reykjavík. You can also find a pick up point right in front of the hotel for excursions or airport transfers. The breakfast was the best you can find there and the rooms are comfortable and very clean. Excellent central location but decor a little dated and easy to confuse with the other centre hotels in Reykjavik. Use the Tradarkot multi-storey car parking which is very handy Breakfast tasty and traditional and room surprisingly quiet for city centre! The standard of the hotel was very good and the staff were extremely helpful. Nothing was too much trouble. The airport shuttle and excursions picked up/dropped off at the Grand Hotel. Reykjavik and Iceland is an amazing place to visit and experience. The best location if you want to stay in the center but still want some peace and quietness when you’re inside. Had a great big balcony with a very nice view over the cute colored houses of Reykjavik center. The studio was very nicely decorated! The b&b is in a beautifully updated historic home. The rooms were comfortable and beautiful, and felt very cozy. The location is right in downtown Reykjavík. Breakfast was simple (the standard fare for guesthouses in Iceland). A great stay! The cheapest private double room with a separate bathroom in Reykjavik. It was very quiet to stay and close to the one of biggest shopping mall. For tour, we chose the Hilton hotel to be a pickup location, which is 8 minutes away on foot. Good value for Reykjavik especially with breakfast included, although it was quite basic. A lot of tours/buses stop at the hotel which makes things easier. Lovely and coqette place to stay in the center of Reykjavik. Wonderful personal. A good reason to come again. I will recomand this hotel for others. On the main shopping street in 101 Reykjavik, close to cheap crosary shopping Bonus and great things in walking distans. This hotel is in a Good location. It's very close to Reykjavik center. Good clean icelandic water to shower in. Cheap price accommodations in Iceland. Very convenient place as well. It located in the center of Reykjavik. Above average breakfast. Very pleasant staff. Front desk extremely helpful with any question.Bus stop right outside hotel was very convenient for all pickups for tours and activities. A short walk to center of town and harbor.